Another hit of nostalgia in today's post! 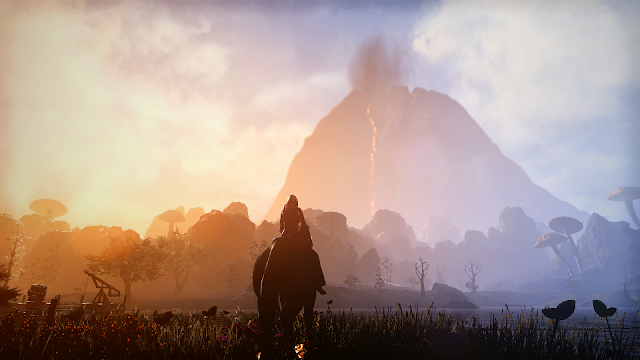 Morrowind is now part of ESO and I thought I'd share some of my thoughtd and images from my journey there so far. There is the new warden class, which totes along a pet bear! There is a new tutorial which lets you step off the boat as the familiar Morrowind tune plays in the background. We see some familiar places and faces, travel to the great Vivec city in Vvardenfell and meet Vivic. Morrowind was a game I played casually on the side of EverQuest. It was something different for me and I spent hours roaming around the world, sneaking around towns stealing, exploring, drooling over glass armor, and getting myself killed quite a lot. I didn't play it as much as my brothers and my son did but I still appreciate the addition to it in ESO, plenty of good memories. I had to play through the newest tutorial with my freshly made warden, which is fairly quick compared to the first one, to see where it led, what it was like. It was short and sweet, you start off as a prisoner, but in a different time, similar but different, which I won't spoil. You can skip this, but I wanted to at least try it. 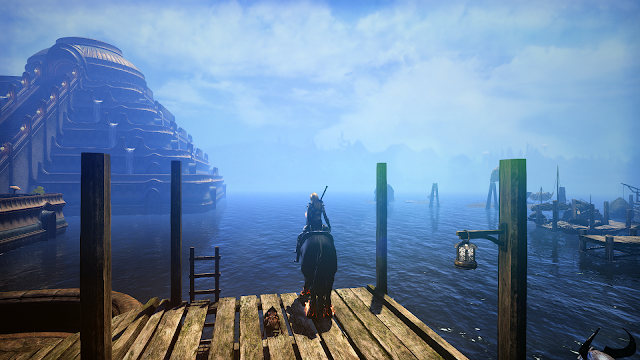 Once done with the tutorial you step onto the docks of Seyda Neen, which looks very familiar, it made me smile. My son watched as I ran around the little town and commented on what was the same and what was different, as my old memory is hazy. 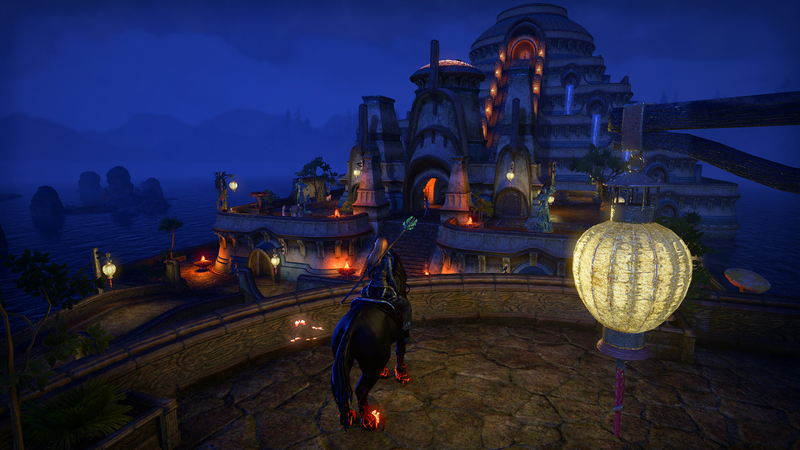 All in all it was a great start on my adventure with the new warden, As I stepped onto the docks the familiar Morrowind tune greeted me, which was really cool. I have not gotten too many levels yet. The warden is an interesting class. I wanted to play it as a magic user, so I went with the high elf race to utilize all the great caster benefits that the race gives as a magic user. It does mesh well with this race. 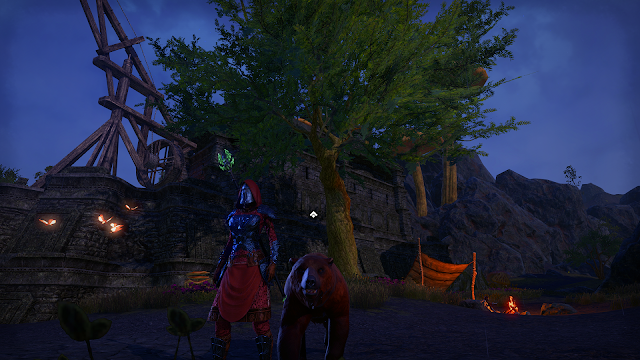 I had to wait a bit to unlock the pet bear, once I did it, things got a bit more fun. He can tank things but often loses aggro. The class offers a lot of healing if you choose to pick up a few things to boost your healing potential for soloing, it has a nice synergy that way. The dps seems decent and I have yet to mess with anything from the tank-y spec. I really like the class a lot and plan on sticking with this character. The music in this new area is so lovely that I don't even turn it off, some games I just have to, but it is so nice here I listen to it while I play. 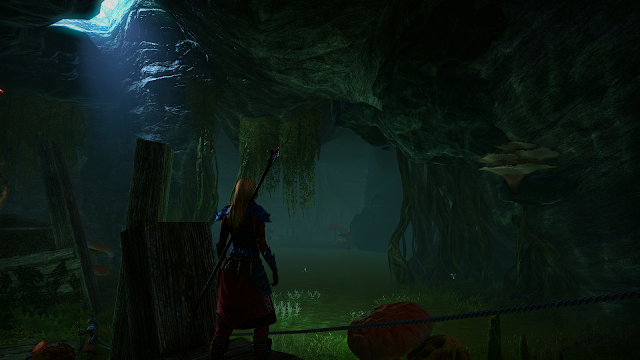 The areas are so pretty, I love the scenery and exploring is still a pleasure to do. I do use a program to make the colors and hues in the game pop, it is called Reshade Me. You may notice my screens are a bit more vivid, that is why. My son showed me this and then set it up for me, I absolutely love it. 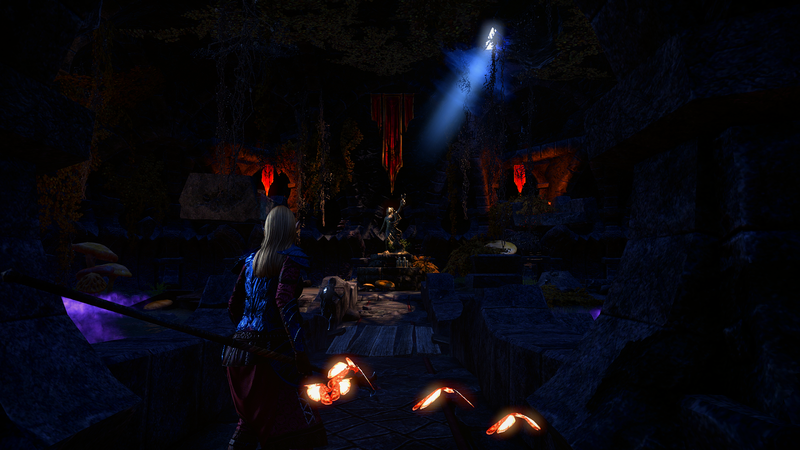 ESO is still at it's finest with letting you just travel around and stumble upon quests. It feels more organic and I have been busy just doing stuff here and there and it doesn't feel forced. Sneaking around cities snatching up stolen goodies is still good fun, I find myself running away from guards all too often. Can't catch me! I even picked up my first apartment, in Vvardenfell, which is really neat, having an apartment in the Morrowind part of the game. The apartment is small but I have nothing to really stick in there, so it is fine for now, swallowing up my three housing items (lol). I love the housing in this game, real pretty stuff, I will move onto something bigger when I have more stuff to fill it up with. It has been so much fun puttering around with Morrowind and the new warden class. It was an unexpected surprise I found myself really excited about once I started. The game has changed a lot of annoyances since launch, it really has turned into a well rounded MMO. What a wonderful place for those who love to explore! 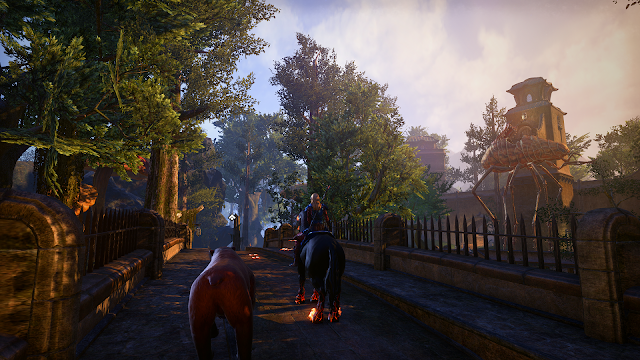 I've been puttering around Morrowind since the early access for preorder too! Made myself a couple of new Wardens and have really been enjoying it. There's none of the nostalgia factor for me since Skyrim was the first Elder Scrolls game I ever even looked at. But even without the nostalgia I've really been enjoying the new zone. The warden class is great fun too. I definitely plan on keeping mine. I'm glad you explained about the Reshade me thing because I was wondering why the colors in your screens are so vivid. They're beautiful, as always. Thank you!! I love pet classes so I was immediately drawn to the warden, so far it has a nice synergy once you get some points. It was so long ago that I played Morrowind that it's almost new too me again, the setting and all. Glad to hear you're enjoying it too! Overall it's been a lot of fun! Reshade.me looks very interesting. I'm about to go on holiday so not a good time to start fiddling with it but I've bookmarked it to look into when I get back. Thanks for the tip! Definitely worth trying out, you can toy around with it. Mine are very vivid but you can tone it to your liking. Enjoy the holiday!